Maria McClafferty’s glass creations are powerful. It was in London in the 1980s that McClafferty developed decorative glass as a medium, with permanent pieces installed internationally in a variety of public and private places. Her portfolio includes fused glass, stained glass, cast glass, jewellery and sculpture. Her glass creations can be publicly viewed at Harrods and Alexandra Palace (London), Sculpture Park Changchun (China), and Villa Being, (Arnos Vale, Tobago). In Grenada, where she settled and open her studio in 2000, her works are in many private and public collections: Mount Cinnamon, Republic Bank, Calabash Hotel among others. 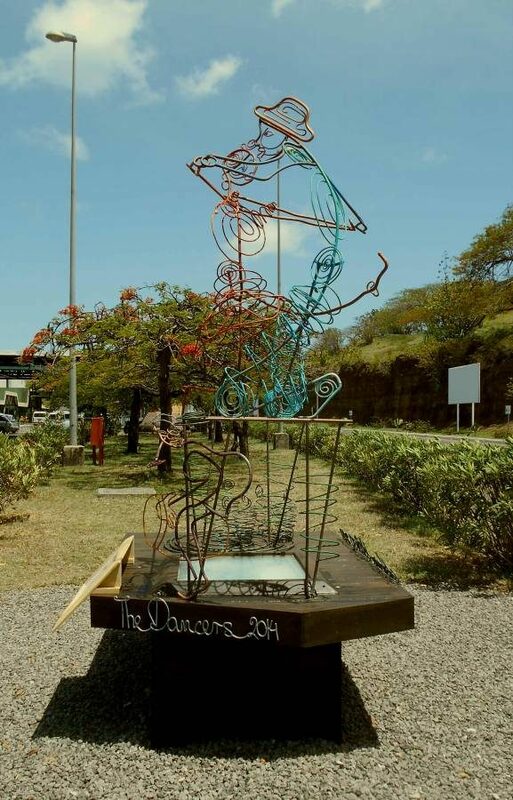 McClafferty also made the steel-wire sculpture at the Maurice Bishop International Airport (MBIA) that honours Grenadian artist John Benjamin, based on his famous painting ‘Dancers’ in the permanent collection of the Grenada Arts Council. Her bronze and stainless-steel monument commemorating Sir Eric Matthew Gary is soon to be unveiled. Up to now, Paradise Glass has been known for the jewellery displayed and sold at Esplanade Mall on Bruce Street, but as a lot of McClafferty’s work is large scale, she recently relocated to a more spacious venue across from the traffic point on the corner of Church and Young Streets. This area has long been a shopping favourite of locals and visitors, hosting several ‘made-in-Grenada’ businesses, including Art Fabrik, MNIB, Art Upstairs, the House of Chocolate Museum and the Grenada National Museum. In the heart of St George’s, Paradise Glass Gallery and Coffee Bar offers art and coffee lovers something to enjoy. Apart from the large selection of art glass jewellery, gifts, plates and decorative objects for interiors, the visitor can enjoy unique, artisan blend, freshly brewed coffee, or a refreshing glass of iced coffee. The majority of McClafferty’s individually unique and stunning creations come from her workshop in Fontenoy. 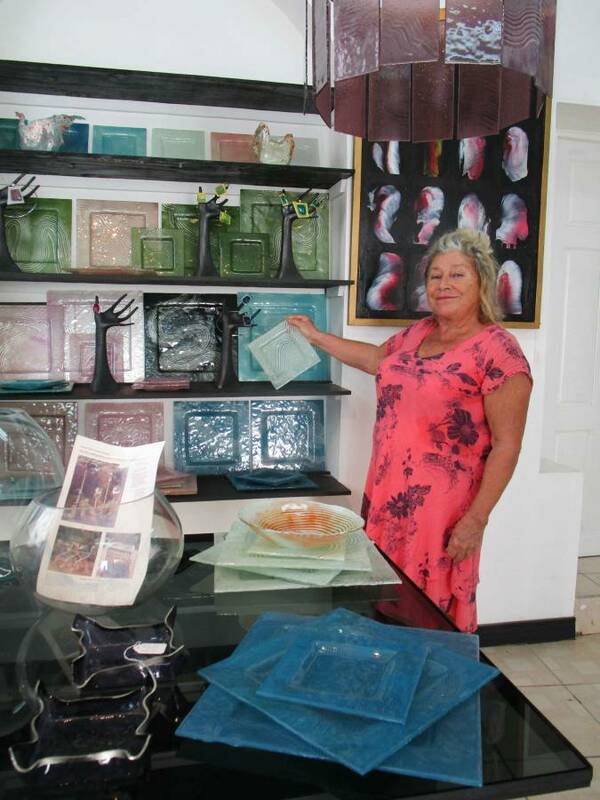 Her Paradise Glass brand reflects her love of Grenada, her inner spirit and generous heart. For more information email mariamcclafferty@gmail.com or call 473-410-6169.